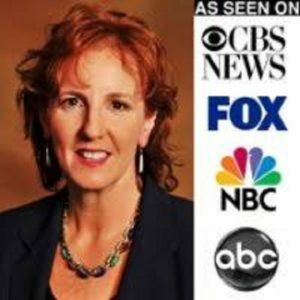 Beth De Lima HR Expert in Murphys & Founder of HRM Consulting, Inc.
Beth Brascugli De Lima, M.B.A., SPHR-CA, is principal and founder of HRM Consulting, Inc., a California-based human resource consulting firm, since 1993, providing expert testimony, training, and consulting services. Beth De Lima is nationally certified as a Senior Professional in Human Resources, with a California specific certification (SPHR-CA) by the Society for Human Resource Management (SHRM) and has been appointed to sit on the Employee Health, Safety, and Security Special Expertise Panel. She is a certified mediator, U.C. Berkeley, Extension Program and has been appointed to the Amador County Superior Court Mediation Panel. With a specialization in compliance with ADA (Americans With Disabilities Act) / FEHA (Fair Employment Housing Act) and FMLA (Family Medical Leave Act) / CFRA (California Family Rights Act) requirements, as well as sexual harassment and other personnel hiring and termination issues. Beth De Lima (formally Hirsch), MBA, SPHR focuses on reducing potential liability by offering expert testimony, EEOC, EDD and Labor Board appearances, professional advice, policy and procedure development and implementation, and interactive training to businesses for profit, not-for-profit organizations, government agencies, attorneys, and individuals seeking employment or career guidance. Training programs are offered to develop in-house expertise or we are available to support or act as your human resource department handling specific responsibilities. HRM Consulting, Inc., provides comprehensive documentation management programs which include training on-site administrative HR assistants in implementing, calendaring and maintaining the process of the “Employee Life Cycle”. Our services are available on a project, hourly, by phone, case-by-case, or retainer basis. Beth now has a new Job Seeking Management System that will be available for purchase on-line the first part of September 2010. This product was developed and utilized in her Vocational Rehabilitation and private return to work consulting practice over the past 17 years. We have a 95% placement rate with the most challenged population, disabled Americans, who used the Job Seekers Management System. It is full of job search strategies, time management tips, and real methods for finding the job you want in all labor markets.